Happiness and Gratitude need to be cultivated from within. Though the practice may seem tough and bring in the beginning, you would really be overwhelmed with the results that you see with time. I strongly adhere to this practice. It has so much effect on my happiness quotient and my total behavior towards others in every aspect. I do not get angry any more on my kids. Shouting at the kids is not anything common around my home. Children are not stressed before exams or even in anything related to studies. In fact they are performing even better than before. Misunderstandings do not get verbal, they are better understood and empathy is followed. And all this not with any mantras or magic, but with thankfulness and the practice of gratitude. If you had asked me a few years earlier what I am grateful of I would have come with a list of favors and gifts received. That was the much I had known about being grateful then. If I think of them now I really feel I had been so naive and surreal with the word Gratitude. I am a spiritual person, I try and find the scientific reasons behind every spiritual preaching. That was how I started reading every religious teachings I could. When I was at school I remember my Muslim friend discussing about the different aspects of her Ramadan fasting with me, I began reading about it, and many other fasting rituals we Indians follow. Every religion had the same goal and all them taught the practice of gratitude. I tried and have failed a lot of times practicing Gratitude. There are so many journals, all half way through. I have learnt now that with practice and patience we can surely learn to make Gratitude – our own golden thread to happiness. Within a few months I started enjoying times spent with my family better. Life started getting brighter and happier. I seem to be able to multitask without any difficulty and I had lesser and lesser complaints by the day. Through My Happiness Course I have met so many people who have share their difficulties with me. They have problems from the time they get up till they go to bed. Problems with health, children, in laws, bosses, co workers, friends and so many many things. However within a month of practicing gratitude there seems to be a sudden flow of positivity in the very language they speak. They have become happy, their time is more qualitatively spent and their family life has become better. One person in particular who was taking antidepressant has now catapulted herself into the circle of joy we have created together. It takes a few minutes of time every day and nothing else. You Can Join The Simple Indian Mom’s Circle Of Joy For Free. All you need to do is send an email to me @ thesimpleindianmom@gmail.com. My grandmother used to start her day thanking all 33 crore gods ! There is never a day when I used to ask her who were all these, when I think of it I feel she must have included the nature, people and all souls around her. That is what I do now and have found it a great way of starting a happy day. This November has particularly been great for me. After the Alexa campaign by TheBlogchatter I had become comfortable with the blogging community around me. Thanks to team blogchatter for roping me in, I was a reluctant participant at first, but enjoyed thoroughly as we progressed together. I now enjoy being a part of The Bar and Write Tribe FB groups. Thank You Shailaja V and Corinne Rodrigues. I treasure my Simple Indian Mom very close to heart, she has got a new look, all green and organic. I have attained good ALexa Ranks, Better Visits and a Huge list of subscribers. #HappySunday on sundays as a fun filled link up and #MondayMommyMoments for mom bloggers to share their mommy moments with us and also get more views. Thanks to all the bloggers who have linked. Thanks to all those who would be linking up in future. Nature and Organinc food has always been something that I love and profess about. I am dead against fast food and the so called fancy foods. I strongly believe that less knowledge about out traditional food and lesser availability has made people sought out to these fad foods. And thus I have chosen to cultivate quality food grains, minor millets, greens and so on and make them available easily. I have started SIM ORGANICS my own brand of organic produce. I am now happily becoming an organic food producer and supplier. I thank my husband, children, mom, my siblings and god to give me this opportunity and also support me through – from the beginning. Yes! I am doing a full time PhD in Agricultural Microbiology. I want to make agriculture and food as healthy and human friendly as possible. I thank all my professors, co students and my chairman for making it easier for me to continue studying even after the recent transfer of my husband. Though I travel long to attend classes and take exams, I learn a lot in the process. My research is going on and I am positive that it is going to give a lot of insight about Phylloshere microorganisms and help in enhancing the silk industry in Janjgir Champa. My Novel is unfurling to completeness, I have utilized Namowrimo well, and have almost completed the last few chapters that were pending. I now would get it edited soon and then set the wheels towards the publishing process. Thanks to Varun for the constant and the much required nudge. I thank them every day and every hour! I have got the best people around me, it was like god handpicked and sent them for me. If I have to thank my husband and children mentioning everything they do day in and day out for me, I would require one new blog. From small things to big, my entire family is there, supporting, encouraging, working with and for me. With a smile, lots of gratitude and happiness ends this months list. Thanks a ton Vasantha! I am glad and grateful to have connected with you. I have always felt that we meet people with a reason, and I strongly feel our friendship is such a guided one. Wow that’s quite a bunch of things to be grateful for. A novel and an organic food business and no yelling at home.. whew! Seems quite magical. Wow …. Multi talented yet humble and down to the earth person, you are, Menaka !!! Really I feel so grateful on meeting you on this vast blogosphere. My best wishes for your organic business. Keep going and keep growing, my dear ….. True Deepa! counting blessings helps and in fact drives us further towards our goals, small or big. Isn’t it wonderful to write a gratitude post? They help us in counting our blessings. Congrats to you on your product launch. ..it looks great. Glad I started the blog hop with you. Thank You very much Ramya! I am humbled and overwhelmed Shilpa, thanks a ton for your wishes. The practice of gratitude does so much magic that we seem to become changed people altogether. I have experienced as you, the positivity and growth due to gratitude. Yes, complaining attracts more negativity, be positive and grateful you would see changes very soon. Hugs back Vidya! Thanks a ton for these wonderful words of appreciation and hearty wishes. I am glad that we could meet each other through the virtual world. I would really enjoy having you link up to my blog hop. YOu are doing a fine job, and with your own product line. a Commendable job with all the things you do in life. Kudos to you. I am overawed reading about all that you are doing , Menaka! My best wishes for your PhD and for your business. May you prosper in every venture you undertake. I practice gratitude everyday. Right when I wake up in the morning, to before going to bed. And the difference I have observed in myself and all the activities that I do during the day is phenomenal! My productivity has increased and improved and I have begun enjoying the work I do. God really listens, is something I realise each time I do something and it comes out just as I had visualised it. And, gratitude goes a long way in improving our life, is what I have learnt over the years. We learn something even during the low phases or the bad experiences in life and for that we ought to be grateful! I complain too much. I have a long way to go in my gratitude practice, and yet I have so much to be grateful for. Perhaps I need to blog about gratitude more often. 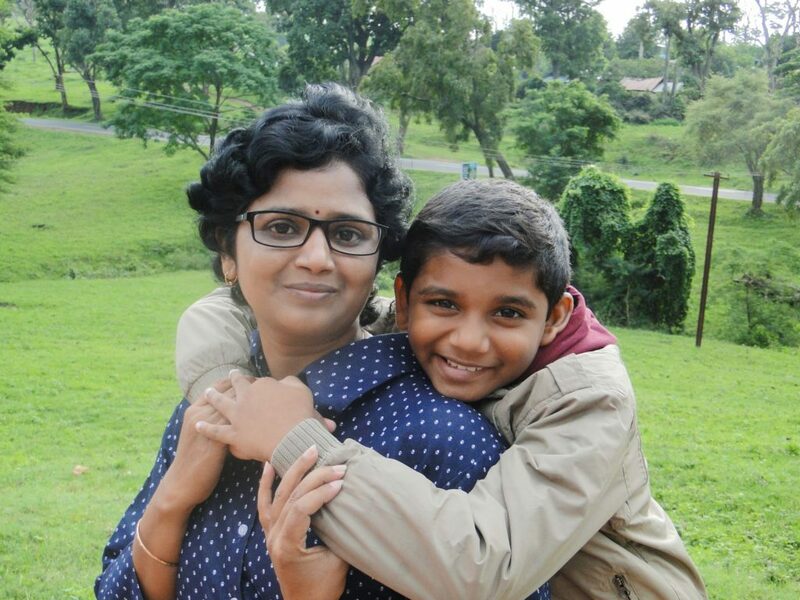 Menaka, what a beautiful post and what a wonderfully fulfilling life! Hugs and thanks for joining the Gratitude Circle bloghop. Congratulations on all your achievements. You are amazing with everything you do. Your product line is interesting, I used a lot of millets in my diet, as a type 2 diabetic. Would love to join your Circle of Joy and your weekly linkups. Will mark my calendar. All the best in your research and your business. Your family adores you, I am sure. Hugs! Have a wonderful weekend! Congratulations on your product line.It’s amazing.I am very glad you have joined us for #Thankful Thursdays blog hop.